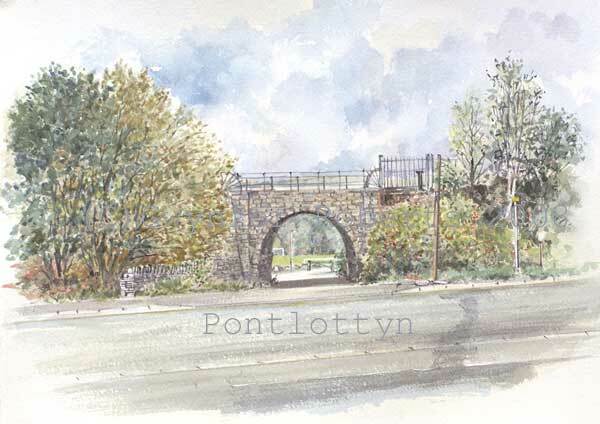 These sketches are all watercolour.Stone bridges thoughout the valleys were demolished along with the demise of the collieries and the local rail network. Some of the Valley lines remain and the Rhymney to Cardiff is one of these - thanks to this some of the bridges are still with us. These are just a few of the bridges along the Rhymney line and I'll be adding others in the future to complete this gallery.